I recently purchased the Pacific Laser Systems PLS-60521 PLS180 Tool, 180-degree Fan Angle, Plumb and Level Line Tool for my crew who’s framing a large metal stud commercial project. 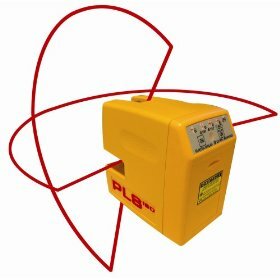 The laser line tool is used for laying out plumb lines for the metal stud framing. We really needed the laser for this job because we’re framing really tall walls (some as high as 20 ft). Accuracy has always been an issue for me with some of these lasers. So we tested the plumb lines by marking some plumb lines 20 feet in the air and checking them with a good old fashioned plumb bob! The lines matched up perfectly which means the laser works great even at longer distances. The feature that I like best about this laser is the ability to attach it to our normal transit tripod. You need to buy the Tripod Adapter in order to mount it on the tripod but it’s certainly worth the extra money. This allows you to set it up at a fixed location and shoot both horizontal and vertical laser reference lines. We purchased our laser from Amazon for $274 with Free shipping. I think it’s a great value when you compare it to similar models that can cost well over $500. We’ve used other Pacific Laser Systems equipment in the past with great luck so I’m sure this laser will be just as reliable.